if u tadka jeera in ghee and top it in rasam,then jeera shd be 1/4 cup for grinding.hing only 2 tsp is added for grinding as when rasam is boiling we add hing,it gives more flavour. Keep curry leaves in sunlight or can roast curry leaves.it becomes dry. Keep in sunlight all ingredients seperately or dry-roast them separately. First tur dal,after it turns golden brown remove from heat.Then dania, then red chilli and it bulges and becomes shiny, peppercorn pops up and jeera crackles.Switch off the gas. Allow it to cool for sometime.on that heat itself put kadipatha and hing. Grind them in the mixie &make it slightly nice powder. (Not very nice). 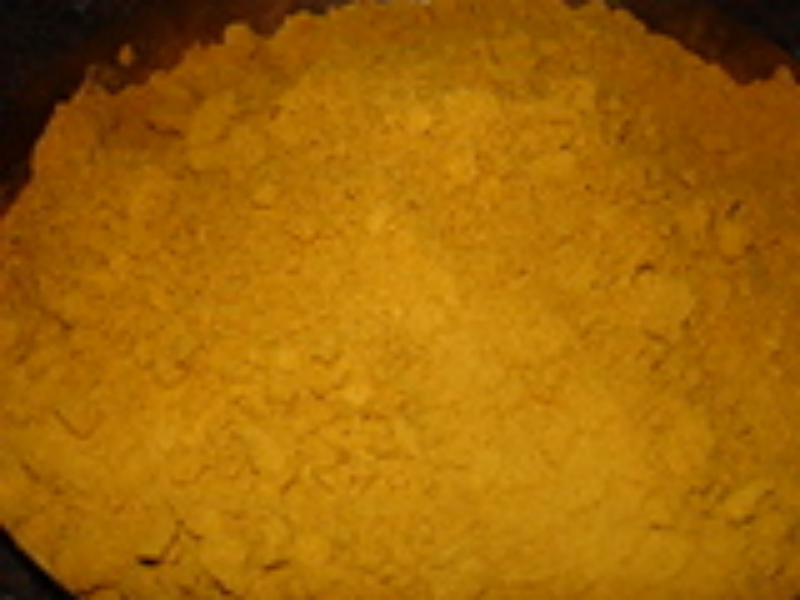 For sambar powder only it shd be nice.Sieve it for uniformity. Store in airtight container for atleast 4 months. Note:Chana dal is not needed for rasam powder. If u want to add it, take 1 tbsp. Mainly turdal,dania and redchilli are grinded seperately.other things can be grinded together.